Subtle spice for your feet! 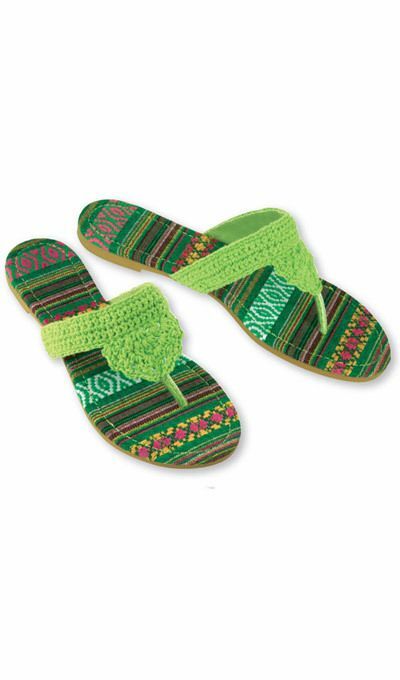 Lime green Fiesta Crocheted thong Sandals with handcrafted look, coordinating striped insole. Polyester with rubber sole. Imported. Available in whole sizes. Hurry! Quantities are limited!